There are times you may hear a clicking sound in your ears that starts and stops randomly. This might be a normal sound if it occurs for a very short period of time such as for a few seconds only once or twice. However, if this happens frequently, and it’s a painful clicking sound in your ears, it could be a condition known as tinnitus. It’s only a perception since there is no actual sound produced. When it happens, it can be painful and uncomfortable. This means that this condition is common; nevertheless, tinnitus is not a serious condition. However, in severe cases, you may experience difficulty in hearing and concentrating, so this can affect your work and other important activities that involve your hearing. When you hear or feel the sound, you may think there is something inside your ears that creates this noise. Actually, the sound does not exist as it’s the brain that processes such a feeling. Such noise usually occurs when you are yawning, swallowing, or chewing something, and this problem is common among older people. When you are in a quiet environment, and you hear a noise along with some sort of pain; this may be one of the several symptoms of tinnitus. You may wonder what specific sound or noise tinnitus is producing. If you hear any of the above noises even without hearing any of the actual sounds, you are most likely suffering from tinnitus. The sound may occur on one side of your ear or in both ears. Sometimes, the sound is low pitch, where other times it’s a high pitch. There are also times that the sound you hear in your ears is much louder than any sound you can typically hear outside. The sound you hear with subjective tinnitus is a symptom that there is a problem your outer or middle ear. The problem may also be in your auditory nerves or in one part of your brain that processes a sound. In Objective tinnitus, the sound can also be heard by a doctor during an examination or diagnosis. This sound is a symptom of a problem in blood vessels, muscle contractions, bones, or middle ears. Clicking sounds in the ears happen when the Eustachian tube does not properly open. Because of this, it is difficult for Eustachian tube to pop the ears. In this condition, you can feel as though your ears are full. This is due to the differences in pressure between the middle ear and the outer eardrum. Since the ear canal is open towards the outside, the eardrum is prone to air pressure. If the pressure outside is stronger than the pressure in the middle ear, the eardrum bulges inward thereby producing a feeling of moving pressure. This usually happens when you are on an airplane, especially when the airplane is landing. You can also experience this when you dive deep under water. On the other hand, you can feel the opposite when the pressure outside is lower than the pressure in the middle ear. In this case, the eardrum bulges outward. This also typically happens when you are on an airplane, and when the airplane is just taking off. You can also notice similar feelings when you are driving up very steep inclines at high latitudes. When you are in any of the above situations, and you experience the same feelings, you are showing signs of tinnitus. Symptoms of tinnitus can be identified not only when you don’t do anything but also while being involved in activities such as the above cases. It is difficult to find the exact and the ultimate cause of tinnitus as there can be many factors that can cause it. However, the most common cause of tinnitus is the cell damage in the inner ear. Inside the ears, there are small and soft hairs that move according to the pressure of sound waves. This makes ear cells produce an electrical signal. Afterward, the brain processes such signals and identifies it as sound. When these hairs are damaged, the signal it produces becomes irregular. As we get older; it’s normal to experience hearing problems. This usually happens from age 60 and above, and this condition is called presbycusis. The probability of presbycusis is higher within such age range. 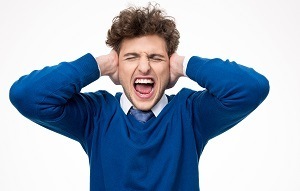 Exposure to loud noise can definitely cause hearing problems such as tinnitus. Noise coming from construction sites can be one of the culprits. On the other hand, listening to loud music, especially for a prolonged period of time contribute to damaging the ear cells. However, any noise no matter how loud it is won’t affect the ears if this occurs for a very short period of time. Earwax is the natural defense of ears against dirt and bacteria. It works to trap foreign substances and prevents them from penetrating the eardrum. However, there are cases that earwax becomes excessive. As a result, the wax will build up and block the ear canal causing hearing problems, which eventually lead to tinnitus. Your bones around your ears are not permanent, and overtime; they change in shape and proportion. Such changes affect the normal functions of your ears. Although this case is not common, anyone may go through this. If this happens to you, it would be difficult to treat it unless the treatment involves surgery. Nevertheless, the condition is not severe, and is rare. Damaged eardrums are eardrums that are perforated. Because of the presence of tiny holes, the pressure between outer ears and middle ears becomes unbalanced. Consequently, this imbalance creates a clicking noise in the ears. Enlarged adenoids tend to block the tube between Eustachian tube and the tube toward the nose. This prevents Eustachian tube to easily open, and as a result it produces ringing and tapping sound, which becomes more frequent. Too much consumption of chocolates, cheese, wine, aspirin, and coffee, and food that is high in salicylates can cause ringing noises in the ears. (9) This is most commonly due to its effect on the nervous system and the brain. There are muscles around the ears that are connected to several parts of the body which are prone to spasm. Muscle spasms in these areas can reach the ears. If it happens, the muscles around the ears will not be able to control the flow of any type of sound. The result is clicking and ticking noises. Major dental procedures that last longer can greatly affect muscle formation between the jaws and the ears. This leads to abnormal processes of the nervous system in the ears which can eventually cause tinnitus. When you are under stress, your blood pressure rises. This condition affects the normal supply of oxygen and glucose in the brain. Most of the time, the brain functions that are affected are the parts that regulate the senses such as hearing. Because of this, you may notice the clicking sound when you feel so stressed. Diseases are some of the major factors that can cause tinnitus. There is no question that almost all diseases and abnormalities in the body can be caused be increased by alcoholism and smoking. Tinnitus is just one of the many diseases they can bring. In fact, the sense organs are the ones directly affected by alcohol and nicotine. 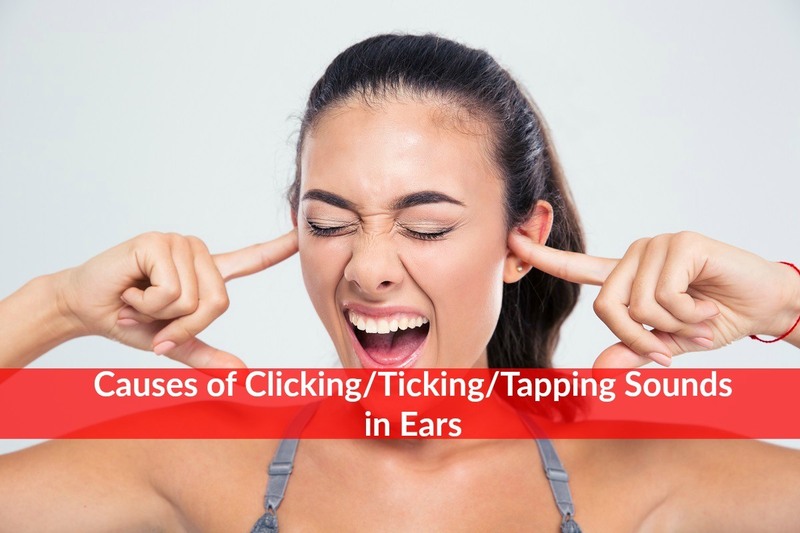 If you frequently experience clicking, tapping, tickling, ringing, and other abnormal sounds in the ears, it will greatly affect your lifestyle. If you experience the symptoms of tinnitus such as clicking, ticking, and tapping sounds, you should immediately consult a doctor for further diagnosis. Your doctor may perform several tests to identify the condition. Initially, your doctor will perform an audiological examination. In this examination, you will be asked to stay in a soundproof area while wearing earphones. Specific types of sounds will be played on one side of the ear, and then on the other side, and then for both ears. You will be asked to identify each sound as you hear it. 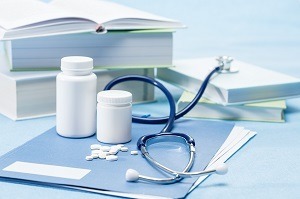 The result of this test will be compared to the results done with normal patients. Your doctor may also use a movement method in which you are asked to move your eyes, neck, arms, and legs to identify the source. If all such examinations are not conclusive, your doctor will recommend some imaging tests such as MRI or CT scan. However, its diagnosis must be under the close supervision of your doctor. If you experience the symptoms, do not self-medicate. Consult your doctor immediately! Paraproteinemia (Monoclonal Gammopathy) – Why it Happens and What To Do About It?